We went to Barter Books in Alnwick yesterday and I came home with this pile. I didn’t realise until I took this photo that they’re all a variation on a black/white colour scheme! It wasn’t intentional. I go armed with a notebook listing books and authors to look for and so I was delighted to find two books by Truman Capote as I enjoyed reading Breakfast at Tiffany’s recently and am keen to read more of his books – and two more of Reginald Hill’s books that are on my list of his books to find. The Collaborators by Reginald Hill, a standalone novel of wartime passion, loyalty – and betrayal. Set in Paris from 1940 to 1945, when Janine Simonian stands accused of passing secret information to the Nazis that led to the arrest and torture of several members of the French Resistance. A Pinch of Snuff by Reginald Hill – the 5th of his Dalziel and Pascoe novels, this was first published in 1978. When Peter Pascoe’s dentist suggests that one film in particular shown in the Calliope Club is more than just good clean dirty fun, the inspector begins to make a few discreet inquiries and ends up with a homicide to investigate. Beneath the Surface by Jo Spain, the second novel in the Inspector Tom Reynolds series. I’ve read three of her books and am always on the lookout for more of hers. Set in Dublin, DI Tom Reynolds and his team investigate the murder of Ryan Finnegan, a high-ranking government official in Leinster House, the seat of the Irish parliament. Local Girl Missing by Claire Douglas. I’ve read two of her books previously and loved them. This one is about the disappearance of twenty-one year old Sophie Collier. Twenty years later a body has been found and her friend Francesca goes back to her home town to discover the truth about what had happened to Sophie. The Weight of Angels by Catriona McPherson. I’ve read several of her Dandy Gilver books and enjoyed them. 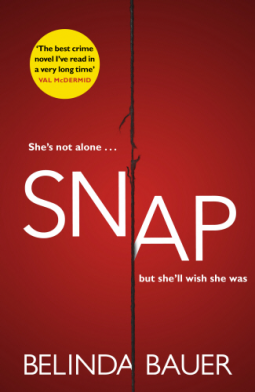 This book is a standalone psychological thriller, in which Alison McGovern takes a job as a beautician in a private psychiatric facility near her rented cottage and the ruins of Dundrennan Abbey. A body is discovered in a shallow grave by the abbey on Ali’s first day at work. Music for Chameleons by Truman Capote, a collection of his writings, both fiction and nonfiction – a book of reminiscences, portraits and stories, including ‘A Beautiful Child’ an account of a day with Marilyn Monroe and ‘Handcarved Coffins: a Nonfiction Account of an American Crime’. In Cold Blood: A True Account of a Multiple Murder and its Consequences by Truman Capote, probably one of the best known ‘true crime’ books. Capote reconstructs the murder and the investigation that led to the capture, trial, and execution of the killers of four members of the Clutter family on November 15, 1959, in the small town of Holcomb, Kansas. So, seven more books added to my TBRs and I’d love to start reading them all – now! This post is about the books I’ve recently added to my TBRs and about the library books I’ve recently borrowed. Broadchurch by Erin Kelly, based on the story by series creator Chris Chibnall. i loved the TV series, so I’m hoping I’ll love this too. I’ve only read one other book based on a TV series and that was Tenko broadcast in the 1980s (about women in a Japanese prisoner of war camp). The book was terrible, such a let down as I had loved the TV series. Die Trying by Lee Child, the second Jack Reacher thriller. I haven’t read the first one yet, but I’ve found it’s best to get the books from Barter Books when I see them – they might not be there next time I go. I enjoyed the only Jack Reacher book I’ve read, The Midnight Line and have decided to read the earlier books. Goodbye Piccadilly: War at Home 1914 by Cynthia Harrod-Eagles. I’ve been seeing her books in libraries and bookshops for years, but have never read any. This is the first in a series about the First World War – I decided to start with this rather than her Morland Dynasty series (now 34 books). Dandy Gilver and the Reek of Red Herrings by Catriona McPherson – historical crime fiction. I’ve read a few of the Dandy Gilver books and enjoyed them. This one is set in 1930s Scotland – in a fishing village on the Banffshire coast where unusual items are turning up in the herring barrels. I’m looking forward to reading these books in the coming months!